For this “homecoming” concert, Matt Ingalls will perform works which create a continuous musical texture of interactive software, manipulated sounds, and clarinet improvisation. Mike Berry will perform a new improvisation for lap-top computer. Finally, the two will perform an improvised duo for computer-extended instruments. Matt Ingalls is a clarinetist, composer and computer music artist, and an Albuquerque native now based in the San Francisco Bay area. He is active with improvised music in various solo, group and electronic settings, and his compostitions have been performed throughout the US and abroad, and have one a number of awards. His recorded work has been released on a number of labels, including Apraxia, Limited Sedition, Seamus, and others. As an active performer of contemporary music, he has premiered over 50 compositions, many of them solo pieces written specifically for his unique performance style. Most recently he has performed at the Seattle Improvised Music Festival, the Monterey Rock & Art Festival, and the East Bay Creative Music Festival in Oakland. He is currently visiting Professor of Music at Dartmouth College. Mike Berry is a composer and freelance software engineer who lives in Albuquerque. He has designed several award winning audio software programs. 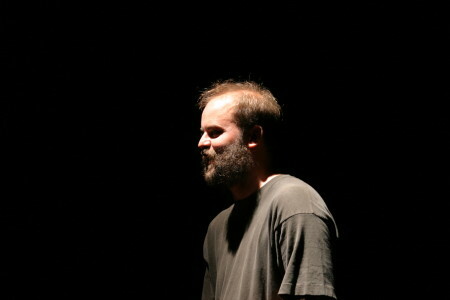 His music explores the extension of acoustic musical instruments through computer processing. He studied composition at Mills College with Chris Brown, Pauline Oliveros, Alvin Curran and others.